The Puzzled Palate: Meal planning is overrated- try eMeals for FREE! 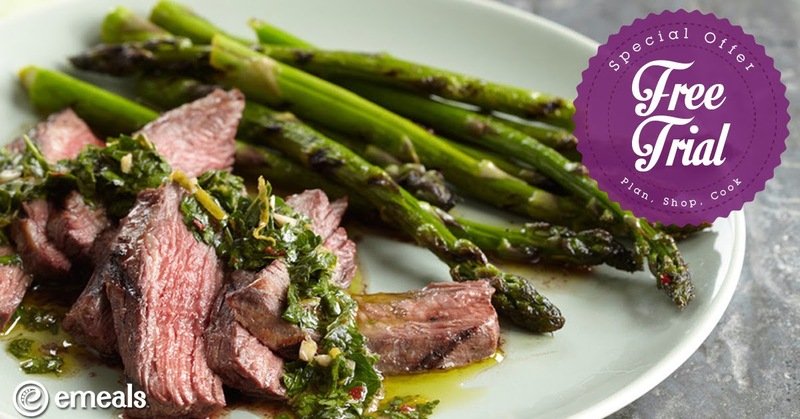 Meal planning is overrated- try eMeals for FREE! I know that my readers love freebies and I found an awesome one for you! If you are a loyal reader or a Puzzled Palate Facebook fan, I am sure that you have read about my love of eMeals . Nothing is better than someone else making your meal plan and grocery shopping list for you- except for a FREE TRIAL of their service! The number one reason that I love eMeals ? How about the tons of different healthy meal plans they offer. You can choose from gluten free, paleo, low sodium, quick meals and many more. To top it off, you are never stuck with one plan forever- they actually allow you to switch up your plan! If you love eMeals , which I know that you will, you can enjoy your choice of over 60 meal plan options including breakfast, lunch and dinner. Don't worry- the free trial is a no strings attached deal and once the trial is over, the plans are more than affordable. To start your free trial, simply click here . Have you tried eMeals yet? I have never tried an e-meal planning service, it sounds like this would really help get dinner on the table quickly. Its great that they have a wide variety of plans to choose from to keep things interesting. I'm definitely going to check this out. I've heard great things about it.